Costco insurance pays for weight loss surgery with Dr. Feiz. Diana Herera (Gray shirt & Black pants): Had the sleeve surgery 6/12/13. In 3 months time, she has lost 50lbs! She has had an easy and fast recovery and is doing great. 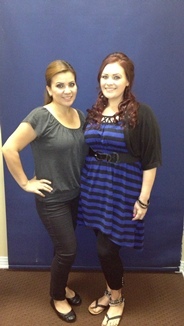 Happy with her decision with having had weight loss surgery and having it done with Dr. Feiz! Dulce Anderson (blue and black dress): Had the sleeve surgery 6/19/13. 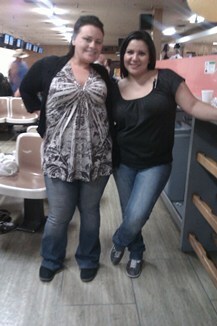 In 3 months has lost over 30lbs and has had no complications, fast recovery and constantly losing more weight. Very happy with her decision to have surgery. 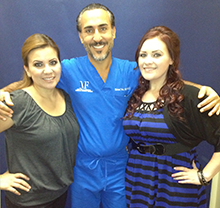 Loves Dr. Feiz and his team! to schedule your FREE consultation with Dr. Feiz now!